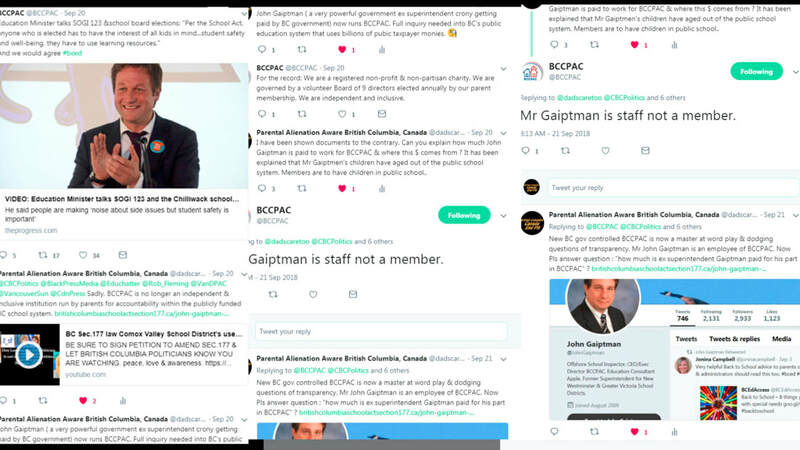 BCCPAC used to be "actively run by parents" representing the well being of all children in the BC public schools. Yes, it was starved for funding by Ministry of Education due to politics & most likely the members asked too many questions the Ministry of Education did not like. But it persevered out of passion & was inclusive. Past BCCPAC members such as Susan Wilson, Terry Berting & Ann Whiteaker were concerned parents that were "active, respectful & inclusive". These members raised dire concern with BC Sec.177, along with v knowledgeable reporters such as Vancouver Sun's Janet Steffenhagen. Example story click here. These past members have been replaced & BCCPAC presents v different now. 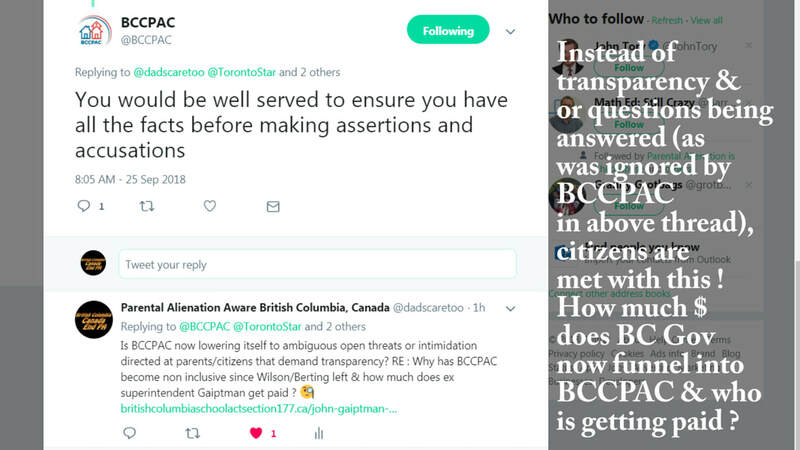 BCCPAC has shown (in my experience) to be non inclusive(via passive aggressive tactics) to parents trying to join, evasive, non transparent regarding FOI disclosure & defensive. Since Steffenhagen's departure, no other reporter asks tough questions of our v questionable public school system & politicians that run it. Sad...Click here for a email exchange(reply) when Mr Roy had tried contacting new BCCPAC members via email, but was only responded to by ex superintendent Gaiptman (listed as CEO & director of BCCPAC) with evasiveness. Click here to view SUBTLE BUT VERY SHOCKING !